To promote and facilitate research and innovative partnerships and collaboration – by ensuring appropriate funding is available and minimising regulatory barriers. To ensure the easy mobility of students, academics and other research workers between the UK and Germany – through non-bureaucratic entry and residence regulations, and the participation of the UK in the Erasmus programme. To sustain the global competitiveness of European research – through an ambitious new research framework programme “Horizon Europe” with UK fully associated with the programme. The declaration was signed during a joint meeting of both university associations. It was followed by a roundtable discussion “Where next for UK-Germany science and research? 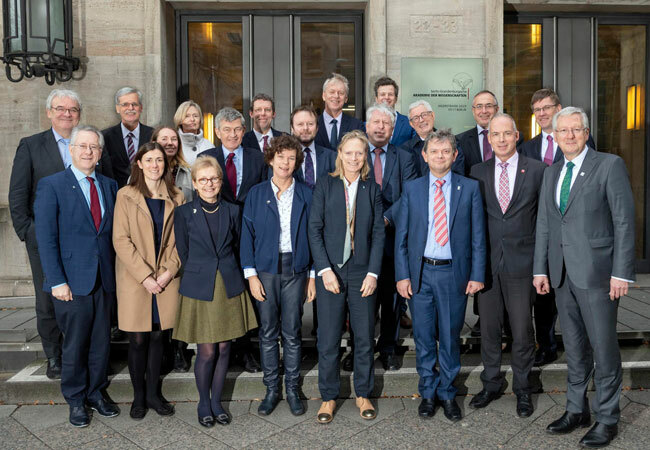 The future of European science and higher education cooperation.” The prominent participants included representatives from the British Embassy, German politics, and leading German scientific organisations. The Russell Group represents 24 leading UK universities which are committed to maintaining the very best research, an outstanding teaching and learning experience and unrivalled links with business and the public sector. The universities in the Russell Group attract the best scientists and students from around the world. They play an important part in the intellectual and economic life of the UK. German U15 is the strategic interest group for research-intensive and internationally visible German universities. The U15 universities constitute almost a third of all German and international students in Germany. They supervise half of all doctorate degrees concluded in Germany. The U15 universities raise two-fifths of all public third-party funding; in the medicine sector, their share is 60 percent.